In search of the best dual voltage flat iron for international travel? Straight hair can look sleek, soft and under control. But for those with curls and waves, this style isn’t always accessible. Even worse is the fact that damp or humid weather can make those curls go haywire, giving you frizzy hair that could leave you looking like the bride of Frankenstein. So, how do you keep your unruly locks looking great? By using the best dual voltage flat iron you can find. These handy little hair tools can smooth out the frizz, reduce static, and give you the same glamorous styles as any celebrity on the red carpet. Best of all, travel hair straighteners are made in all shapes and sizes, giving you the lightweight flat iron you need to fit into any size of purse, gym bag, or suitcase. Along with being compact, these handy stylers are also lightweight and come with a variety of looks and features to choose from. To find the right one for you, check out our handy buyer’s guide, complete with product reviews to show you the best quality straighteners to meet your needs. Why Get a Dual Voltage Flat Iron? 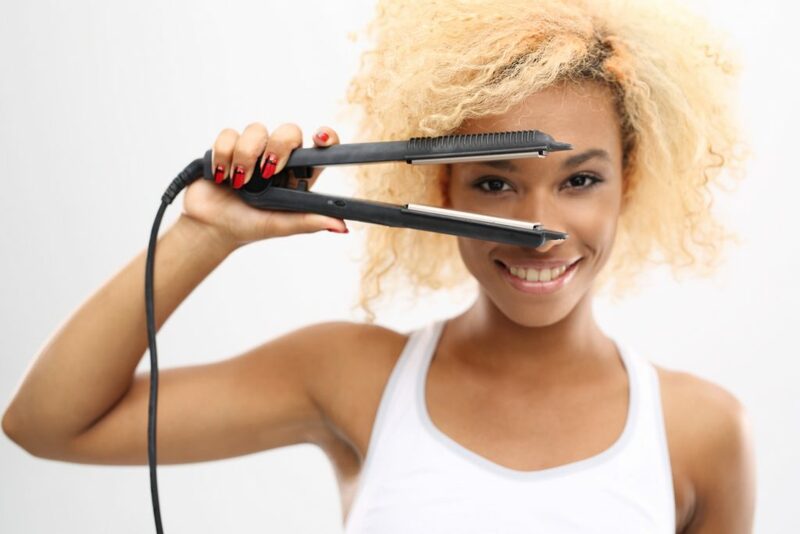 The Bottom Line – Which Dual Voltage Flat Iron Should You Buy? This classic dual voltage hair straightener from GHD uses ceramic technology in the plates for smooth hair that is free from wild fly-aways. It has a slim design and uses universal voltage for travel around the world. As well as being an excellent mini straightener, this handy styling tool also doubles as a curling iron. The flat plates have rounded edges, allowing you to add some subtle waves or full curls to your hair. This means you can impress your friends and co-workers with a new style every day of the week. The on/off switch is located on the inside of the handle, so you won’t accidentally turn it off while using your GHD dual voltage hair straightener. Also if you leave your mini flat iron unattended for more than half an hour, it has an automatic shut-off to prevent overheating or fires. BabylissPro has created their best dual voltage flat iron for travel with this BaBylissPRO mini straightening iron. It has a thin body and short length, making it easy to pack in a suitcase of any size, and the dual voltage is perfect for overseas trips. And there is no need for a converter since this little machine switches over automatically from 110V to 240V when needed. 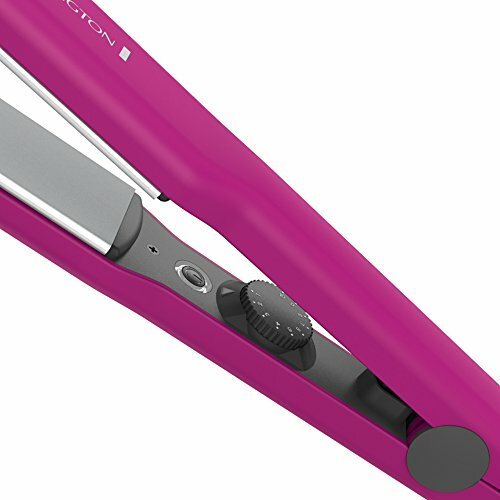 This titanium flat iron also uses ceramic in its plates for smooth hair and even heating. The Ryton housing is sturdy enough to withstand short drops. The handle is curved with comfort grips near the base of the plates, making this mini flat iron as comfortable as it is stylish. At only 136 grams, this Babyliss flat iron is lightweight, so no matter how long your hair is, you won’t put any strain on your arms and shoulders, even when styling extra-long hair. This set by Revlon includes a large dual voltage flat iron and a smaller 1/2 inch mini flat iron. Both sizes use ceramic plates that protect your hair while styling. 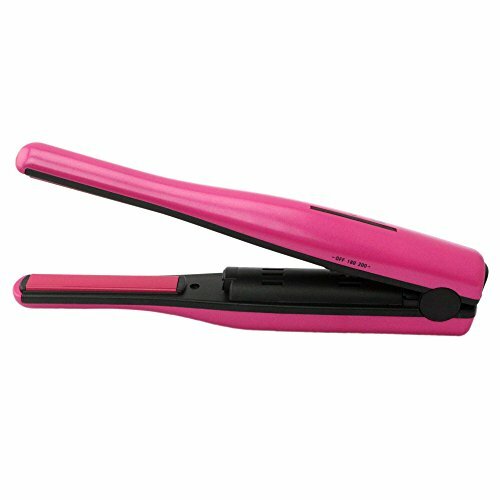 A ceramic hair straightener also gives you even heat distribution, penetrating your hair and heating it from the inside. With a 30 second heat up time, you’ll never have to wait to style your hair. Though the mini hair iron has only one heat setting, the large model has 30 to choose from, ranging up to its highest temperature of 400 degrees Fahrenheit. Whether you are just heading out to the gym or taking a month-long European tour, this dual voltage flat iron set will have no trouble meeting your needs. Use these travel flat irons together or separately on any hair type, and you’ll always achieve the style you want. With a sleek, black body and a smooth grip, this dual voltage flat iron is as stylish as is it versatile. The plates are slimmer than other mini hair straighteners, making it easy to slide this little device into any pocket or bag. With a fast heat up time and its ability to maintain its temperature, you’ll be able to smooth out those strands as well as any professional hair stylist. The ceramic ionic technology helps to keep the frizz down and allows your shine and style to stick around longer than usual. There is no converter needed with this Baby Croc dual voltage flat iron, though an adapter may be needed for the plug. As an added bonus, this lightweight, small hair straightener has a swivel cord for less tangling, which makes styling a breeze. 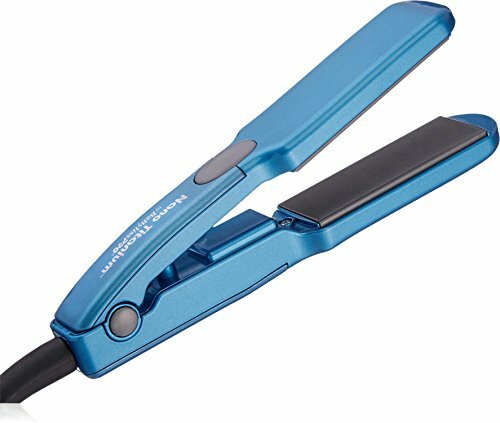 Overall, the Turboion Baby Croc Travel Flat Iron ranks among the best dual voltage flat irons out there. For those who prefer to travel closer to home, the MHD Professional Mini Travel Flat Iron may be the best straightening iron for you. It has slim 1/2 inch plates and a length of only 15 cm. This compact size also keeps the weight down, so you won’t even notice it in your pocket or purse until those strands need a touch-up. 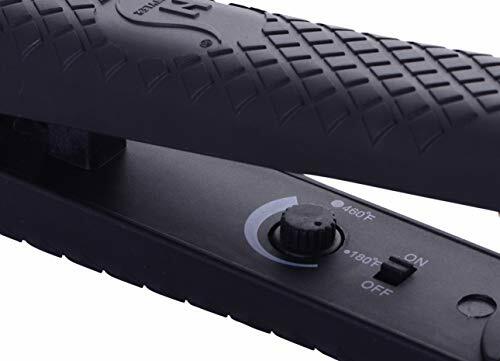 Along with the size, this travel flat iron also has a non-slip grip and comfort pads for your thumbs. You’ll still be able to hold onto the thin handle even if your hands are a bit sweaty. A few other features of this hair straightener is the tourmaline ceramic plates that heat up to 356 degrees Fahrenheit, the PTC flash heating, and the 1.8-meter power cord, which gives you all the room you need for easy styling. This lightweight Babyliss hair straightener comes in three different sizes, including a 1-inch, a 1.5 inch, and a 1.75 inch travel flat iron. But even though the plates are super-thin, they are all 5 inches in length, giving you a much longer surface to work with. This allows you to straighten more hair on each pass, speeding up your styling time. 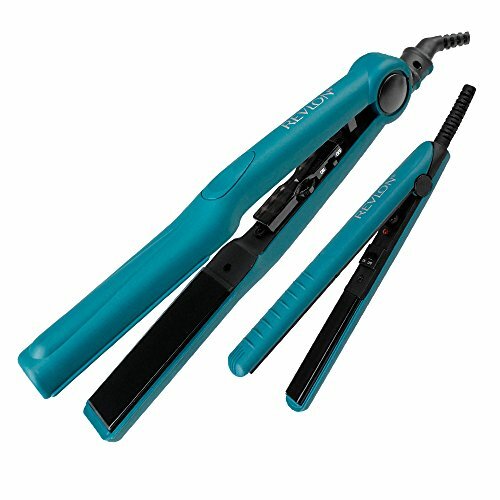 The BabylissPro titanium flat iron plates are also corrosion-resistant and use ceramic technology for high temperatures and consistent heating. There are no cold spots to ruin your style. With 50 heat settings to choose from, this portable hair straightener is perfect for all hair types. For those looking to add a bit of curl, this little styler doubles as a curling iron, giving you countless styles to choose from. If you’re looking for a dependable straightener that takes up very little room in your bag, the Conair ceramic tourmaline flat iron may be the one for you. 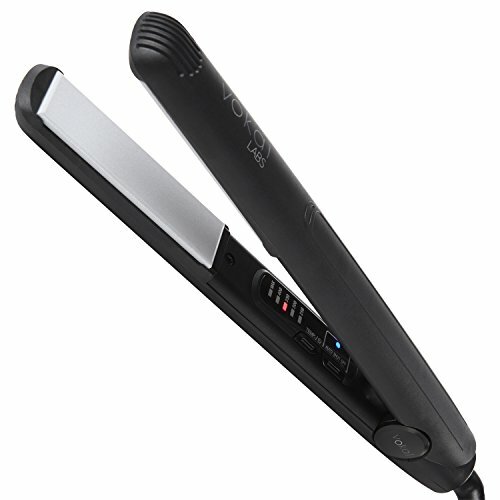 It has ultra-thin plates that can get close to your scalp, giving you a boost of volume while straightening your hair. 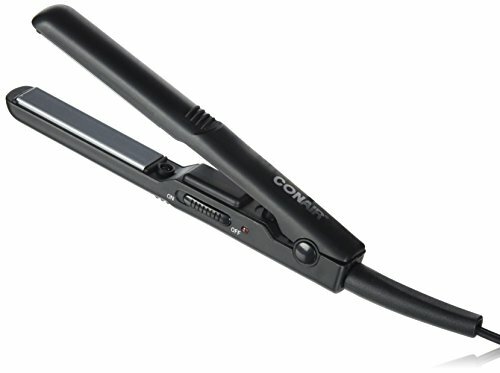 The biggest drawback of this ConAir dual voltage flat iron is that it only has one heat setting and a temperature of 356 degrees Fahrenheit, so though it may be hot enough to penetrate thick or curly hair, it may be too hot for use on fine or damaged hair without the use of heat protectant spray. You won’t need a converter for this dual voltage flat iron for international travel either since it comes with automatic voltage settings. The simple on/off switch comes with an indicator light, so you’ll always know when it’s hot. And when you’re done styling, pack it away in its handy storage sleeve. Like many travel hair straighteners, the HSI Pro model is dual voltage and uses ceramic tourmaline technology and infrared heating to give you smooth and frizz-free hair without causing unwanted damage to your precious locks. But this dual voltage flat iron also comes with floating plates. These will adjust to the thickness of your hair, giving you the right pressure needed to straighten or curl without breaking your strands. The temperature is adjustable, ranging from 240 to 410 degrees Fahrenheit, but it uses a dial, making it difficult to know exactly what temperature you are using on your hair. But with a bit of practice, you’ll find the right setting for your hair type and the style you are trying to achieve. 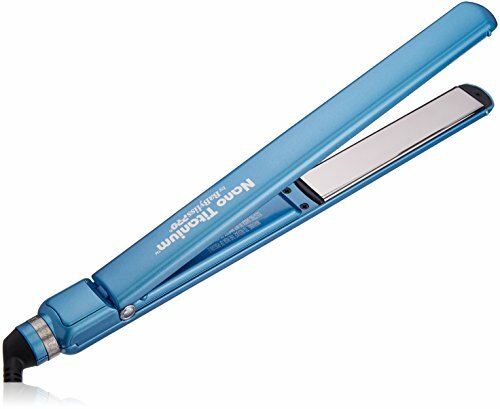 If you’re looking for one of the best dual voltage flat irons that comes with professional performance, the HSI Professional Ceramic Tourmaline Ionic Flat Iron is one to consider. Not to mention, it’s 30,000+ reviews speak for themselves. Professional flat irons can give you salon-quality results at home, and when this ability is coupled with a travel straightener, you can take those styles with you wherever you go. 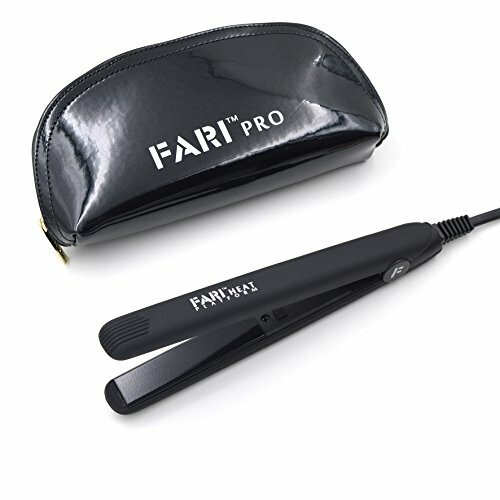 This FARI mini flat iron gives you those pro results, all in a sleek, compact styler. This dual voltage straightener is only 7 inches long, with 1/2-inch plates that straighten your hair close to the scalp, eliminating those annoying crimps larger flat irons leave behind. FARI’s tourmaline ceramic flat iron heats evenly without damaging your hair, but only has one high heat setting, so those with already damaged hair should be careful when using this straightener. Thanks to the long cord and non-slip grip, this hair straightener is easy to use. It comes with a quality travel bag for easy packing and storage. When traveling in areas that may lack in power outlets, having a cordless flat iron could mean the difference between smooth, pretty hair and wild unruly locks. 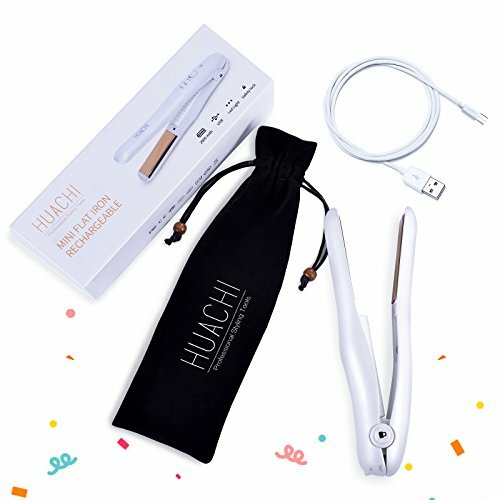 The Huachi Cordless USB Mini Travel Flat Iron is rechargeable, using a micro USB cable that can be used with a variety of devices and power banks around the world. 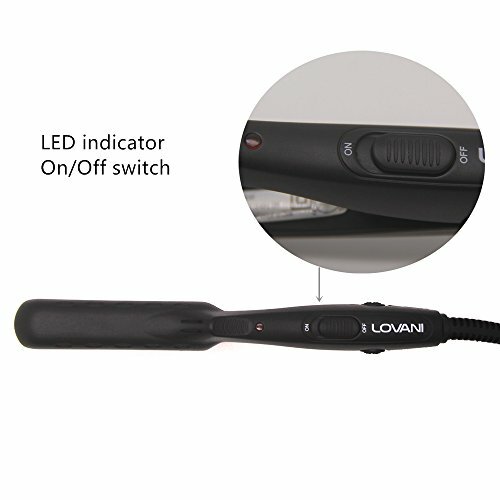 There are 3 temperatures to choose from, all with white LED light indicators to tell you which setting you’re on, with a green light to show you when your travel flat iron is fully charged. Although this is technically not a dual voltage flat iron, you can simply plug in to any USB port to charge your device up. 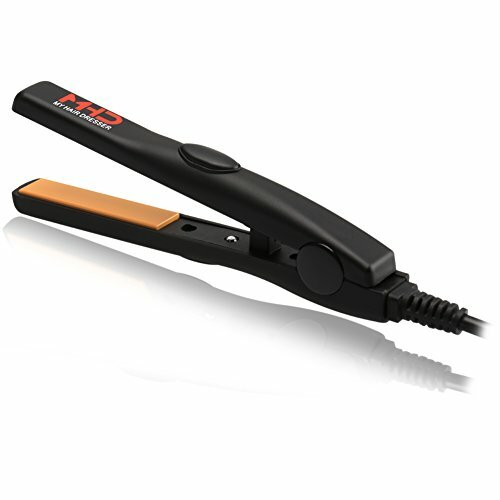 The flat iron provides heat from 266F-338F, which give you the wide range you need depending on your hair type. If you’re traveling somewhere without access to USB ports, you may want to consider a true dual voltage flat iron that can be used on both 110 and 220 volt outlets. When in a jam, the USB out port can even be used to charge your other devices until you can get to a power source. A safe-lock button keeps your straightener from turning on while traveling, and an automatic sleep mode turns it off after 30 minutes of disuse. With a heat range of 180 to 460 degrees, the Herstyler Dual Voltage flat iron Flat Iron is perfect for all hair types, whether natural or color-treated, from a short pixie cut to long, flowing locks. It has an easy to turn dial located on the inside of the straightener, as is the on/off switch, so you don’t need to worry about bumping them while you style your hair. The combination of ionic and infrared heat mixed with the floating ceramic plates allow you to straighten your hair fast, without causing damage. No frizz or static will ruin your day, either. Your smooth, soft look will last all day long. A flat iron that curls can also eliminate the extra curling iron, lightening your bag, which gives the Herstyler dual voltage flat iron bonus points. And the swivel cord keeps you focused on your hair instead of frustrating tangles. This dark pink flat iron from Remington heats up in about 30 seconds, keeping your styling time down, which is perfect for those who are in a running late or want to squeeze in as much sight-seeing as possible. The best dual voltage flat iron have a wide range of heat settings—and this model offers just that. It has 30 heat settings to choose from, with a maximum temperature of 400 degrees Fahrenheit. The wide plates on the Remington Dual Voltage Hair Straightener let you straighten larger areas at a time, smoothing out the frizz for shiny, gorgeous hair. Some of the other features that make this model one of the top rated straighteners are the 360-degree swivel cord, the auto shutoff after 60 minutes of inactivity, the lightweight body, and the thinner handle for a more comfortable grip. If you’re looking for a dual voltage flat iron from a trusted brand, consider the Remington S1420 Worldwide Dual Voltage Ceramic Hair Straightener. Vokai Labs has created a slim, small flat iron that gives you professional styling wherever you go. This dual voltage hair straightener has 5 heat settings, all with the temperature clearly marked next to red lights, so you never have to guess which one your on. The ceramic-coated plates of the ionic straightener smooth out your unruly hair but are rounded at the sides to produce lovely curls when you’re in the mood for a bit of bounce. For those who are a bit forgetful, there is an optional auto shut-off button you can use, to make sure your travel flat iron won’t be left on after you leave the house. To make styling even easier, there is a long swivel cord that lets you twist and turn any way you want without fighting with tangled wires. Having a cordless travel flat iron at your disposal can be handy for quick fixes at the office or for styling your hair after working out at the gym. The Mermaid Cordless Flat Iron brings this dream to life, with its compact size and USB charging capability. The 3.7 V lithium battery located in the handle takes about 3 hours to charge completely, giving you 35 minutes to an hour of use. The USB charge cable is even included with this device, as is a handy carry bag, for added convenience. As if those features weren’t enough, this flat iron uses ceramic tourmaline plates, advanced infrared heating, and has 2 heat settings for both straightening and curling your hair. A safety lock on the tail keeps your styler closed, reducing the risk of damage when it is packed in a bag or purse. If you are only using your flat iron for travel close to home, a dual voltage flat iron won’t be necessary. But if you like to travel overseas, the dual voltage will keep your straightener working properly throughout your trip. The reason for this is that in North and South America, outlets use voltages ranging from 100-127 volts. Overseas in Europe, Australia, Asia, and the Middle East, a higher voltage of 220-240 volts is used, which could fry your devices if they are only meant for the lower rating. 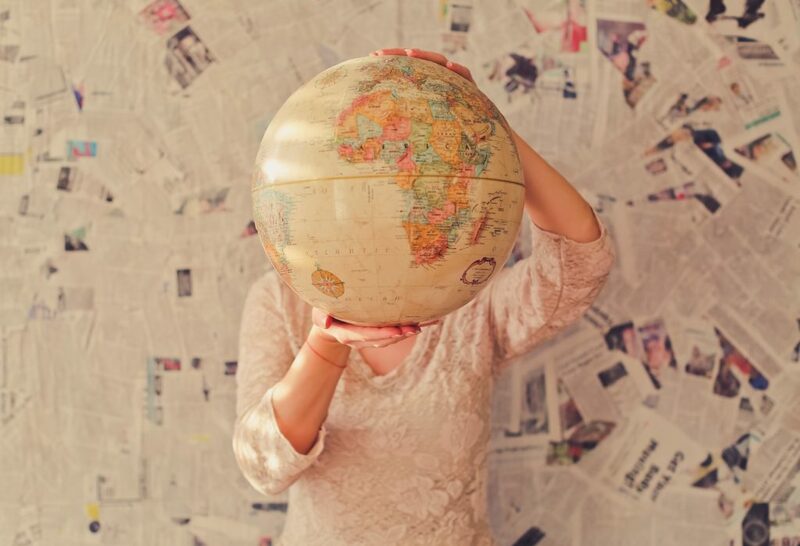 When planning for your trip, you can use this complete list of voltage by country. If you don’t have a dual voltage flat iron for international travel, you will need to purchase a separate voltage converter to keep your straightener running smoothly whenever you use it. Though this isn’t a big deal, it can be a hassle if you forget to pack it and must run around a foreign city searching for the proper converter. Plus, carrying around an extra voltage convertor means extra weight and less room for other things. 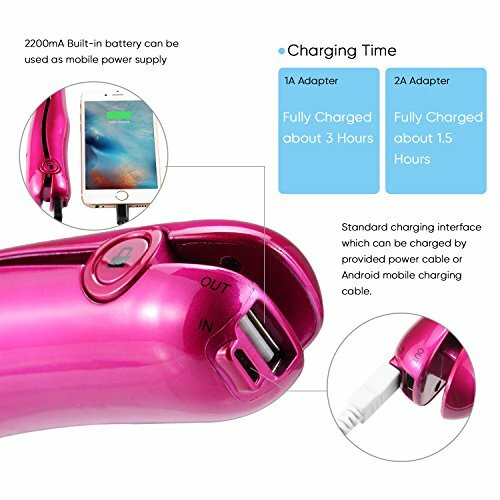 Buying a dual voltage flat iron can save you the trouble of dealing with converters, keeping you focused on enjoying your trip with fabulous straight hair. When you buy your travel flat iron, be sure it is the proper size to fit your chosen bag. 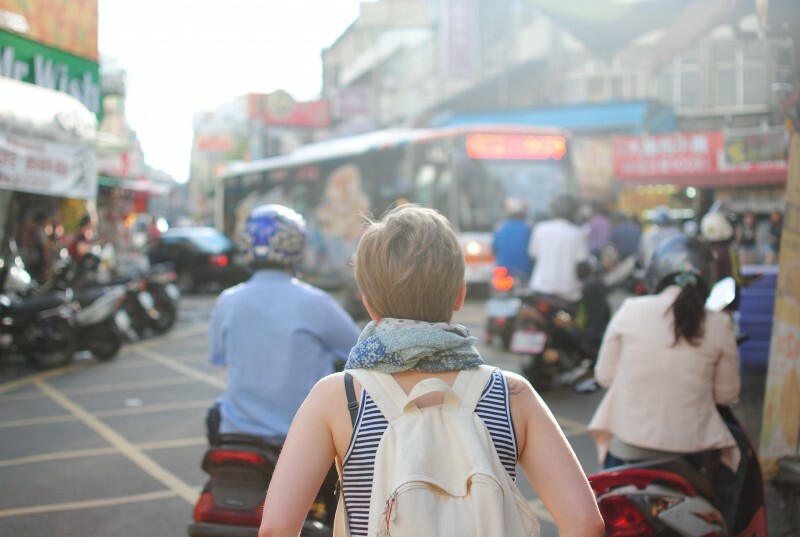 If you are only carrying a small backpack, a larger straightener may take up too much room, forcing you to sacrifice either your hair or some other necessary belongings. If you are planning on doing a lot of travel, it’s best to purchase a high quality straightener. This way it will last for years of traveling, rather than dying on the first day of your trip. There are a wide variety of portable straightener options to choose from, all priced differently. Along with quality, make sure you stay within your budget, keeping your wallet full for those souvenirs. Depending on where you travel, you may also want to consider your power accessibility. If you will have limited access to an outlet, a cordless hair straightener may be your best bet. These can be used anywhere, using USB cables to charge them from a laptop or a portable power bank. When you’re traveling, you always want to make sure you aren’t carrying too much weight. Flights have restrictions, only allowing you to carry a certain amount of weight in both your bags and your carry-ons. On the other hand, backpacking for the weekend means small bags, and every inch counts. You don’t want to sacrifice extra water or a warm sweater for a styling tool, no matter how good it makes you look. 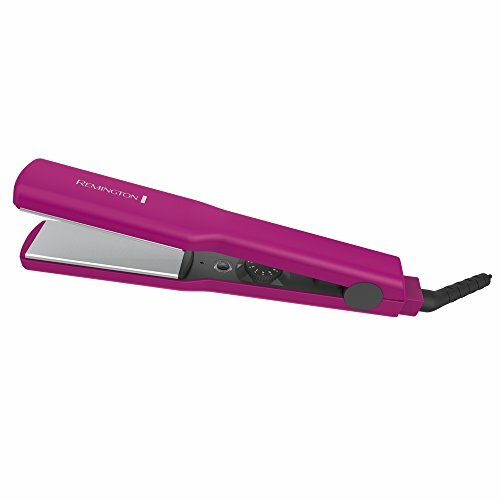 The best dual voltage hair straightener has thinner plates, keeping the width of the styler slimmer than normal models. The handles should be short enough to fit your hand comfortably, but not much bigger. A total length of around 6-8 inches is best. 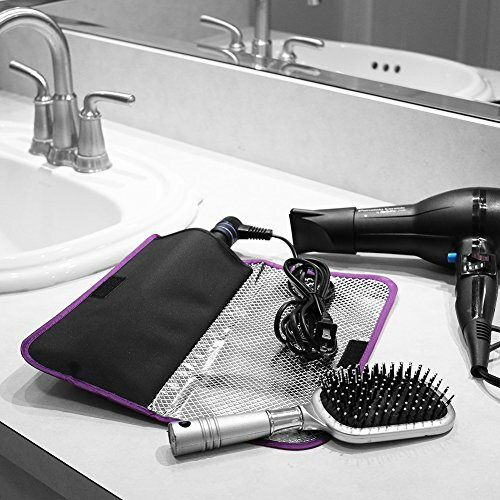 The more heat settings you have, the more versatile your travel flat iron will be. Lower heat is better for those with fine, thin, colored, or previously damaged hair. It doesn’t take as much heat to penetrate these hair types, and high heat could cause needless damage, making your hair more brittle. Then heat styling will make the problem worse, and your hair will need some serious TLC before it gets back to its normal, softer state. Thick or curly hair will benefit from higher heat. Temperatures up to 400 degrees will penetrate the hair better, taming coarse strands and smoothing out those curls faster than low heat will. It will also help you maintain your style for longer. As I said above, dual voltage flat irons are a necessity if you like to travel the world. 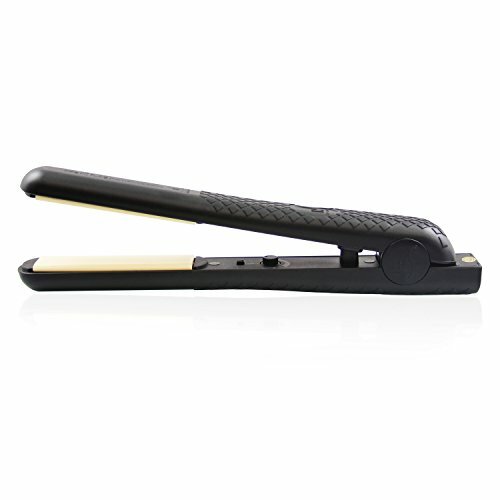 They will ensure your straightener will always be set to the proper voltage with absolutely no effort on your part. This is especially true when traveling to an area you have never been before. For instance, some areas of Brazil use 127 volts, while others are set at 220 volts. If you are touring the area, going from one hotel to another, having a normal American portable flat iron could mean a fried styler in one area that worked perfectly in another. A dual voltage flat iron can eliminate the risk of a destroyed hair tool and the hassle of converters. Keep in mind that just because the voltage is covered doesn’t mean everything will work perfectly. 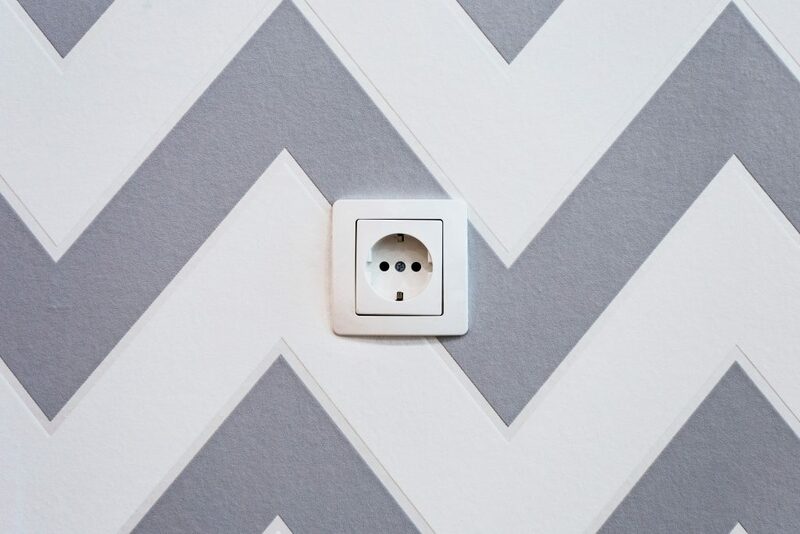 You will still need a travel outlet adapter for the plug, and these can vary depending on where you’re traveling to. A cordless flat iron can be quite handy, especially if you are traveling to areas where power outlets are hard to come by. There is nothing worse than needing a quick touch-up to impress a prospective mate or possible boss and not having a power source to plug into. Cordless travel straighteners come with an internal battery that lets you use it no matter where you are. They usually include a USB cord that you can plug into any accessible port. This allows you to plug it into your computer to charge at home or work, into the port in your car, or into a power bank when out in the woods with your friends. 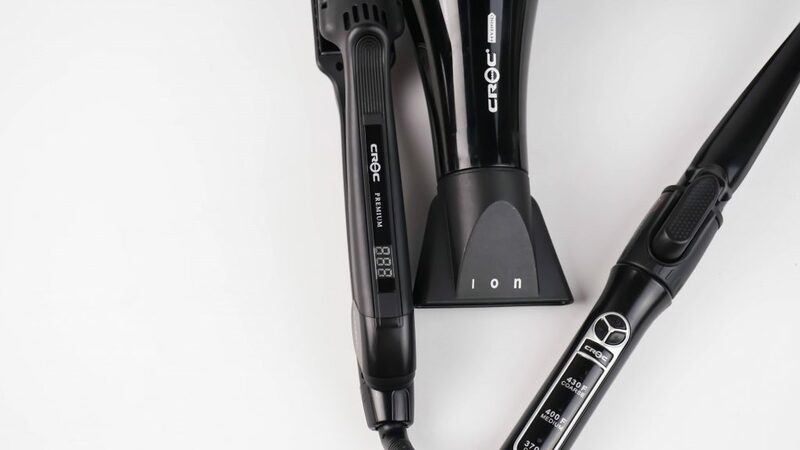 These travel flat irons don’t need to be dual voltage to take with you on an international trip, either, since the voltage will not be an issue. Of course, the item you’re charging them off of will need a converter, or you may fry it, leaving both tools unusable. 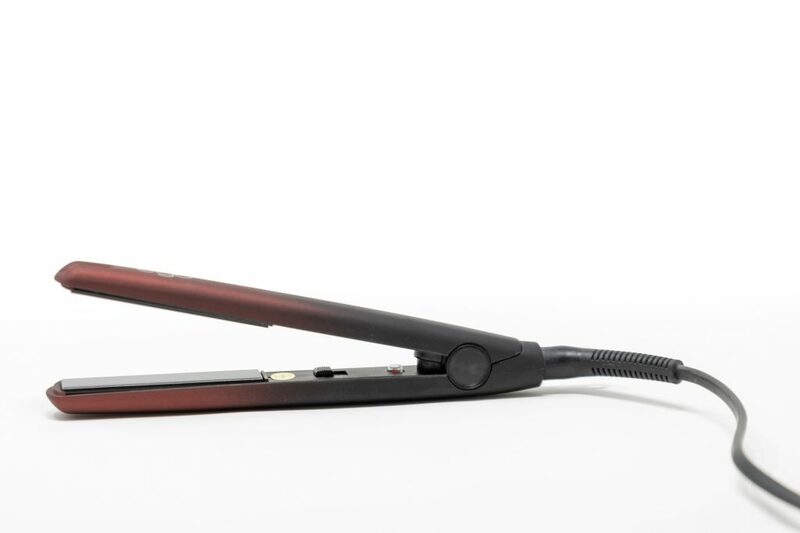 The best dual voltage flat irons come with a variety of heat settings and sizes. But not all of them include extras that make them worth the extra money. For instance, a swivel cord can keep tangles from tying up your mini hair straighteners. Professional cord lengths are also handy since they can give you the room you need to maneuver your flat iron wherever you need it. Non-slip grips keep your dual voltage flat iron firmly in your hand, making it easier to work with. Ceramic and tourmaline plates distribute the heat evenly and maintain their temperature, giving you a consistent style. Ionic or infrared technology safely heats your hair, so even on high temperatures, you won’t cause any damage. Together, these create smooth, shiny strands that will stay free of frizz all day. No matter how careful you are, safety features can help keep you and your dual voltage straightener safe from harm. The best hair straightening iron includes an automatic shut-off. These usually kick in after a maximum of 60 minutes of disuse, turning off your straightener if you have left the room, or even the house, without turning it off or unplugging it. This will not only reduce any damage to your straightener, it will keep the risk of a house fire to a minimum. Another common safety feature is a lock on your device. Many of them have the switches and temperature settings on the inside of the handle. A lock will keep the plates together, so your flat iron won’t turn on accidentally when it shifts positions in your bag or is bumped on your counter. Again, this reduces the risk of fire or burns. Plate size can be an issue when it comes to hair types. The best flat iron for short hair has a thinner plate that will be able to grip the short strands without getting too close to the scalp. Wider plates may make it harder to work with, especially if you have to risk burned fingers when placing the hair between the plates. Though these can be used on thick hair, a wider plate will speed up your styling time if you have long or thicker hair. If you have these hair types, you can still use the thinner plate flat irons for bangs or to touch up the ends. Travel hair straighteners vary quite widely in price. Low-end budget models are usually around $20.00, but these are quite basic, with only one or two heat settings and little else. Though they can still meet your needs, the limited temperatures may not be what you’re looking for. For instance, a single temperature of 400 degrees will work well on thicker hair but may be too hot for fine hair, causing heat damage. A low heat will work better for fine or thin hair, but won’t penetrate thicker strands, failing to straighten as well as another flat iron. Dual voltage flat irons can also go as high as $200.00, which may be worth the price if you will be using it a great deal. These usually have more heat settings, use better heating technologies, and have a few extra frills to make them worth the price. Which mini hair straightener you choose will all depend on your budget and how many bells and whistles you need for your hair tools. Whether you are heading south for the winter or across the ocean to backpack with your friends, having a dual voltage flat iron can give you quick, convenient styling. These handy mini straighteners have a size and width to fit into almost any bag you choose to travel with, and the dual voltage means you’ll be able to plug in anywhere without risking your styler. If you’re looking for one of the best dual voltage flat irons for international travel, look no further than the BaBylissPRO Nano Titanium Mini Straightening Iron. If you are on a budget and need a cheap flat iron that won’t leave you broke, try out the MHD Professional Mini Travel Flat Iron. It has a low cost but doesn’t scrimp on quality. For those who prefer a cordless flat iron for travel, the NEXGADGET Rechargeable Mini Cordless Flat Iron may be your best bet. Not only can it go anywhere, but it can double as a power bank when needed, and has a few bonus safety features to keep it running throughout your trip. You can also read our guides to the best travel hair dryer, the best travel pillow and other recommended travel products here.